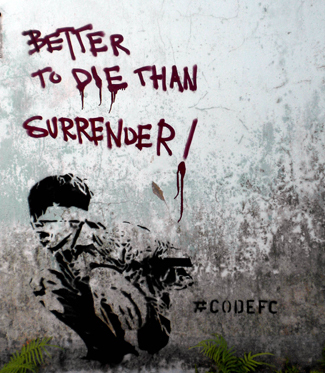 The man behind #codefc has been active as a graffiti artist for a long time, for about 22 yrs actually but he has been using #codefc for the last 12 years. #codefc references to a hexadecimal color code use in web technologies which coincidentally can be broken down into the word “code” and “fc”, the initials of our artist in question. 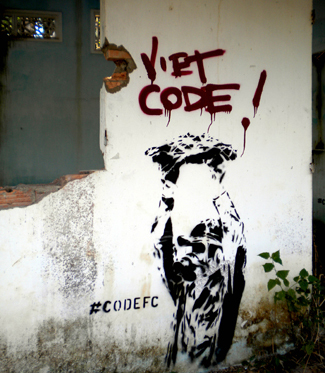 #codefc started to do graffiti in Rome where he got arrested doing a train carriage. 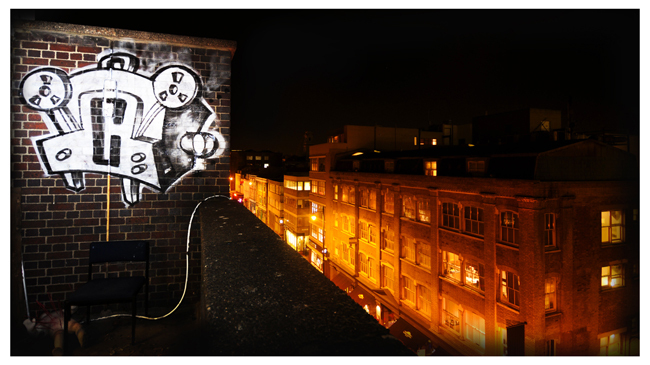 Keen on using stencils, most of his stuff are location related, some of his projects are coDe-DAY in Normandy , stuDIED in Cambodia or viet-code in South Vietnam where fictive characters are invented and stencil on a surface. Some of you will have notice the use of what looks like a filming camera. Talking to #codefc, we found out that he is also a keen film maker and that the camera depicted in his works is S8 cinecam which is also used as a logo. 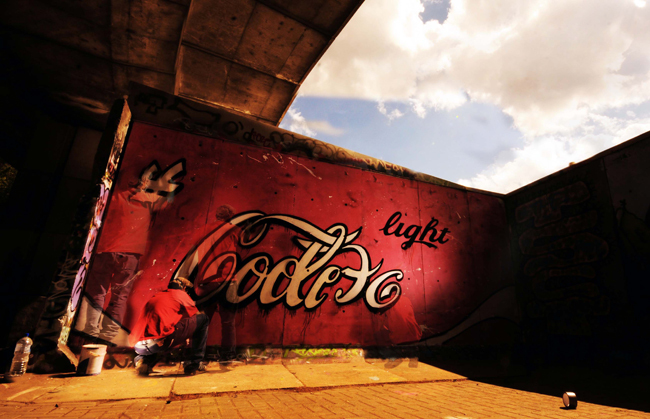 #codefc paint as much as in London than abroad and some of of his works can be seen below. 2012Sprinter from #codefc on Vimeo. I have been checking out Codes stuff for years and it is f*ckin dope as. Big ups fella. Love the Olympic gig.